Mastodon performed their single, “Show Yourself”, on ABC-TV’s Jimmy Kimmel Live on April 3 and video from the program is available. 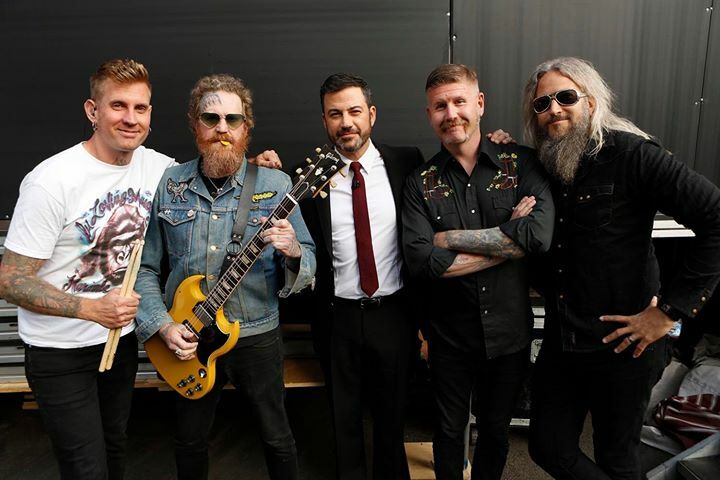 Mastodon recently issued a Robert Schober-directed video for “Show Yourself” ahead of the live debut of the song during a March 17 performance at the SXSW music festival in Austin, TX. The group recorded “Emperor Of Sand” last year with producer Brendan O’Brien at the Quarry in Kennesaw, Georgia. Mastodon will launch the record with a spring tour of North America – alongside guests Eagles Of Death Metal and Russian Circles – that will begin in Missoula, MT on April 14.